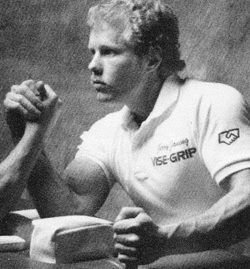 During the 1980s armwrestling continued to grow, bringing thousands of new pullers into the sport. Though a handful of countries around the world were beginning to hold events, North America was still the center of professional armwrestling. The top pullers met up at the biggest tournaments. These included national and world championships put on by organizations such as the World’s Wristwrestling Championship (WWC), the World Professional Armwrestling Association (WPAA), the World Arm Wrestling Federation (WAWF), the American Armwrestling Association (AAA), the National Arm Wrestling Association (NAWA), Arm Wrestling International (AWI), the International Wristwrestling Club (IWC), and the World Professional Wristwrestling Association (WPWA). 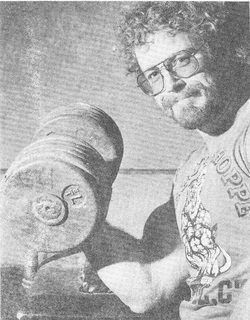 Ron Bath first started dabbling in local armwrestling tournaments when he lived in Wisconsin in the early ‘80s. He had success, but did not take the sport too seriously at that time. 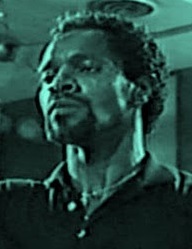 This changed when he moved to Georgia in 1985 and started to train with Bert Whitfield and Johnny Walker. By the end of the decade he was really starting to hit his stride. He won a prestigious Atlantic Coast title in 1988, two back-to-back AAA Stand-Up national titles in 1988 and 1989, and a AAA Sit-Down national title in 1989. ​Rhode Island’s Andrew “Cobra” Rhodes first started pulling in when he was just a teenager in the very early ‘80s. Through hard work he moved up the ranks and by 1989 he had established himself as one of the most dominant 165-lb pullers in the world. Among the many titles he won that year, he won the big-money Carling O’Keefe International Armwrestling Championship in Canada, a AAA Stand-Up national title, and a WAWF world title. ​Connecticut’s Norm Devio started pulling in 1975 when in his mid-30s, but he had his best results during the ‘80s. 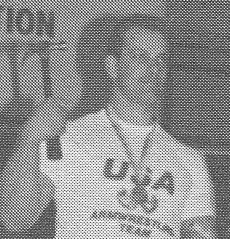 Successful in both sit-down and stand-up armwrestling, he won seven AAA open division national titles in the 150-lb class between 1983 and 1989. He also won a title at the Yukon Jack Finals in 1989. ​Maryland’s Jim Northern was a very active and successful 242-lb puller during the ‘80s. 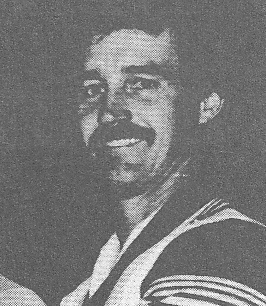 Despite getting a relatively late start in the sport (he was 38 when he competed in his first tournament), he made up for lost time in his 40s by winning at least eight AAA national titles between 1983 and 1989 and WAWF world titles in 1986 and 1987. ​Danny Stone was a great puller from Alabama who typically competed in the 242-lb class. He started competing in 1977, and from the beginning he consistently placed near the top of the standings. He won the big-money AAA Stand-Up Nationals in 1980 and a WPWA world title in 1981, but his peak years in terms of performance in major events were during the mid-‘80s when he won three AAA Stand-Up national titles in a row. Nebraskan Jerry “Vise-Grip” Janing was a natural when he first got into competitive armwrestling as a 17-year old in 1981. He didn’t travel much during his early years in the sport and thus managed to stay below most people’s radars. But people took notice when he beat 150-lb king Dave Patton twice in an event in 1985. Over the next few years, he would obtain a handful of wins on Dave – something no other puller in their weight class was able to do at that time. 1988 was a banner year for him: he won an Atlantic Coast title, both AAA Stand-Up and Sit-Down national titles, and a WAWF world title! A master technician, Ohio’s Harley Maynard started competing in 1977. Under the guidance of long-time puller Dennis Dase, he trained consistently over the next couple of years and made significant gains. 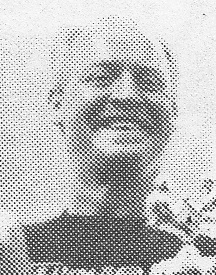 He made a statement with his performance at the big-money 1980 AAA Stand-Up Nationals, where he won the 165-lb class – a class that contained 47 men including top-caliber pullers Bert Whitfield and Harvey Frank. 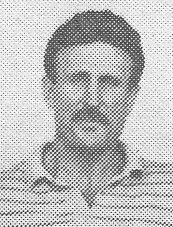 He continued to have considerable success through 1983 before retiring from the sport, winning AAA Sit-Down and IWC national titles in 1982, and WAWF and WPAA world titles (in 1982 and 1983, respectively). 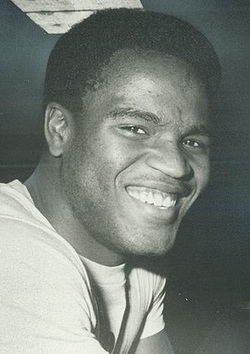 ​Very strong and very fast, California’s Ed Arnold was one of the top light heavyweight pullers in the early ‘80s. He won the always tough Sands International Championships in Reno several years in a row, and in 1981 became the youngest person to ever win an AWI Pro Super Heavyweight title. 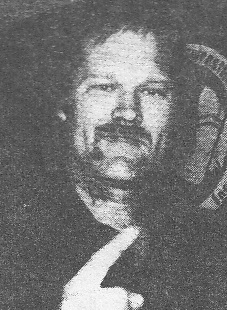 He was also involved in some historic matches: he pinned Cleve Dean at an AWI World Super Heavyweight Championship in early 1982, and he was in the classic final match with John Brzenk at the Over the Top World Championship to determine who would win the truck. John had to adjust his angles of attack many times before finally downing Eddy’s arm. 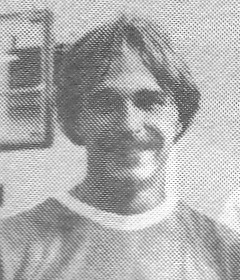 John Buononato only began pulling at the end of the ‘70s, but had success immediately. In 1980, he won the lightweight division of the World’s Wristwrestling Championship. He would go on to win IWC international and WPWA world titles in 1981. But the highlight of his pulling career had to be when he won the AWI Pro Light Heavyweight World Championship in June 1985. He finished atop a class that included pullers such as Clay Rosencrans, Johnny Walker, and John Brzenk! 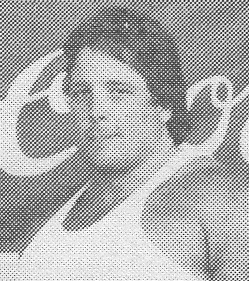 During the ‘80s, there were hardly any pullers who could hang with Massachusetts’ Gabe Accardi in the 135-lb class. 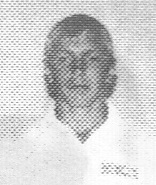 He started competing in 1983 and won his first national title in 1984. He would go on to win five AAA Sit-Down national titles in a row! 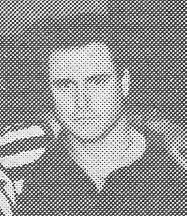 1988 was a banner year for him: he won the Atlantic Coast tournament, AAA Sit-Down and Stand-Up national titles, and a WAWF world title! Floridian Ray Taglione was an incredible puller who typically competed in the 143-lb class. In addition to winning multiple Atlantic Coast titles, he won no less than 11 national or world titles during the ‘80s – a mixture of AAA Sit-Down and Stand-Up Nationals, WAWF Worlds, and WWC World Wristwrestling titles. 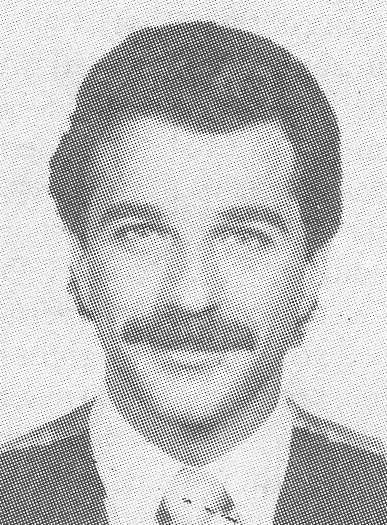 He was also one of the few pullers who travelled to Russia in 1989 to introduce the sport. The Russians couldn’t believe how he was able to pin much larger opponents with such ease. Fred Decker was a very strong puller out of New York. He was particularly strong in sit-down armwrestling. So much so, that he won four right-hand AAA Sit-Down national and four right-hand WAWF world titles in a row between 1987 and 1990! In addition, 1988 saw him win a AAA Stand-Up national title as well as the Yukon Jack Finals! One of the top pullers of the ‘70s, California’s Virgil Arciero was also one of the top pullers of the ‘80s. He pulled off what seemed like the impossible in 1980 when he beat super heavyweight king Cleve Dean in a best 2-out-of-3 supermatch. His performances between 1980 and 1982 were spectacular: he won the Sands Reno International tournament three years in a row, the big-money 1981 AAA Stand-Up Nationals, and no less than five AWI World Pro Heavyweight titles! 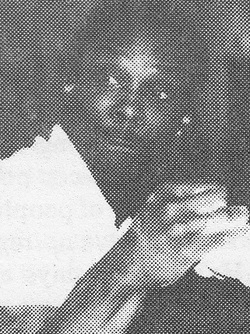 Georgia’s Bert Whitfield had tremendous success in the 165-lb and 176-lb classes throughout the ‘80s. He started the decade off by winning an IWC world title in 1980 and capped the decade off with a WAWF world title in 1989. And he didn’t just win a single WAWF world title – he won five in a row between 1986 and 1990! These are on top of a handful of AAA Stand-Up and WPWA national titles. 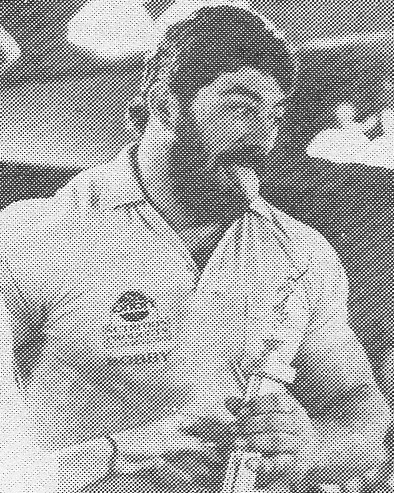 Florida’s Bobby Hopkins was a very powerful super heavyweight puller in the ‘80s. He had success right out of the gates, winning the AAA Stand-Up Nationals, the AAA Sit-Down Nationals, and the WAWF World Championships in his first year of competition! He’s also one of very few men to secure a win over Cleve Dean in the mid-‘80s. By the end of the decade, he had won no less than eight national or world titles. Armwrestler turned mixed martial artist Gary “Big Daddy” Goodridge was Canada’s top heavyweight puller in the ‘80s. He won almost every Canadian tournament he entered between 1986 and 1989. During this time he amassed several Canadian national titles (CAWA and WPAA) and 3 world titles (WAWF and WPAA). 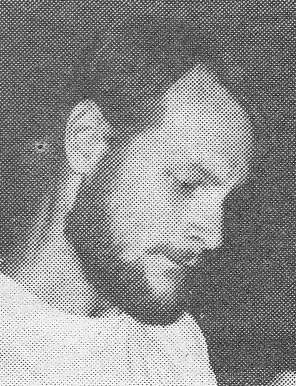 He was one of the first Canadians to venture to big-money tournaments in the US and achieve considerable success, including getting wins over pullers such as Richard Lupkes, Bobby Hopkins, and John Brzenk. 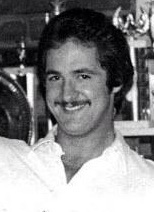 Minnesotan Richard Lupkes first competed in the ‘70s at around 200 lbs. At the end of the decade, he pretty much quit the sport due to elbow issues and decided to focus on lifting weights. He re-emerged in 1986 for the Chicago Regional Over the Top Qualifier stronger than ever and won that contest. By 1988, his size and strength had become downright scary. He easily won the AAA Sit-Down Nationals, the AAA Stand-Up Nationals, and the WAWF World Championships that year. His peak strength was likely in 1989, where in addition to winning multiple national titles, he soundly defeated both John Brzenk and Gary Goodridge. 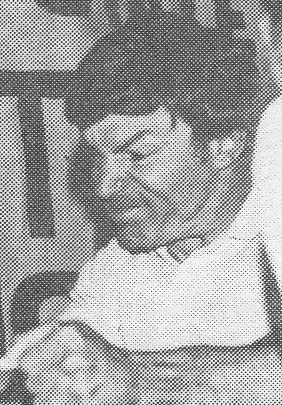 Allen Fisher’s fierce intensity at the table was matched by his remarkable ability to win. The Californian first competed in 1979, and in 1980 he won three world titles (NAWA, AWI, and WPAA)! He would go on to win world titles in each of the following six years in the lightweight division, before taking a break from the sport. 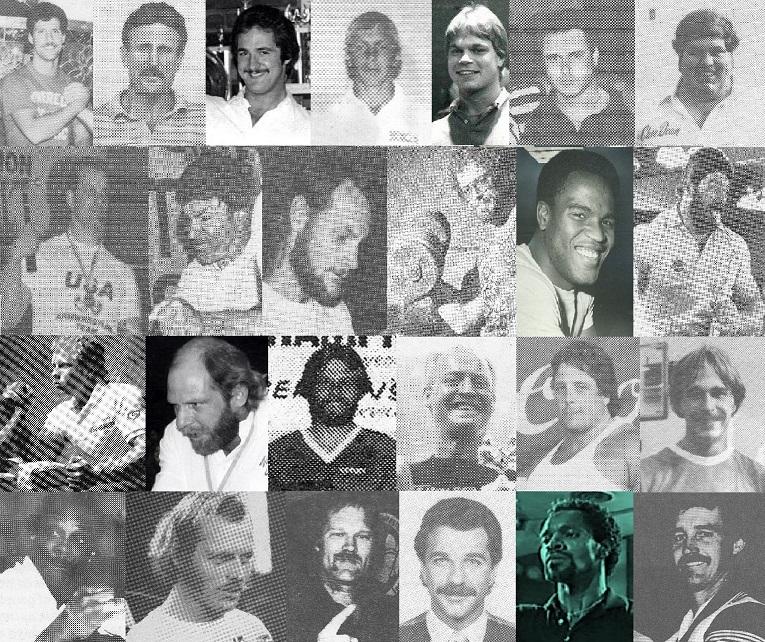 Among these achievements were two WWC world titles, the 1986 Over the Top world title, and an amazing five WPAA world titles! California’s Clay Rosencrans was a tremendously successful puller during the ‘70s, a decade in which he won five world titles. But he was just getting started. By the middle of the ‘80s, he had amassed an additional nine world titles (from the AWI, IWC, and WWC organizations). In fact, he won world wristwrestling titles five years in a row in Petaluma between 1979 and 1983! Due to the event’s coverage on ABC’s Wide World of Sports, at the time he was one of the most recognizable armwrestlers in North America. 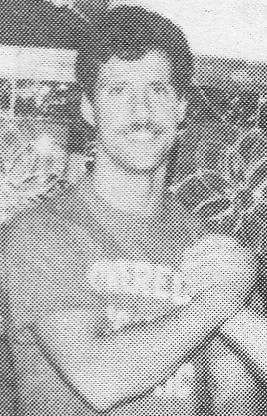 He didn’t hesitate to pull in multiple weight classes, and in 1982 he became the first person to win two weight classes at a World’s Wristwrestling Championship. ‘Consistent’ is a word that may come to mind when one considers Connecticut's George Givens. He attended the same major events every year throughout the decade, pulled in the same weight class, and almost always won. He won an incredible eight AAA Sit-Down national titles at 185 lbs, between 1983 and 1990. He also won four AAA Stand-Up national titles during these years as well as three lightweight WWC world titles in a row between 1986 and 1988. He's one of very few pullers to have won both AAA Nationals as well as the WWC world title in the same year: a feat he accomplished three times in a row! 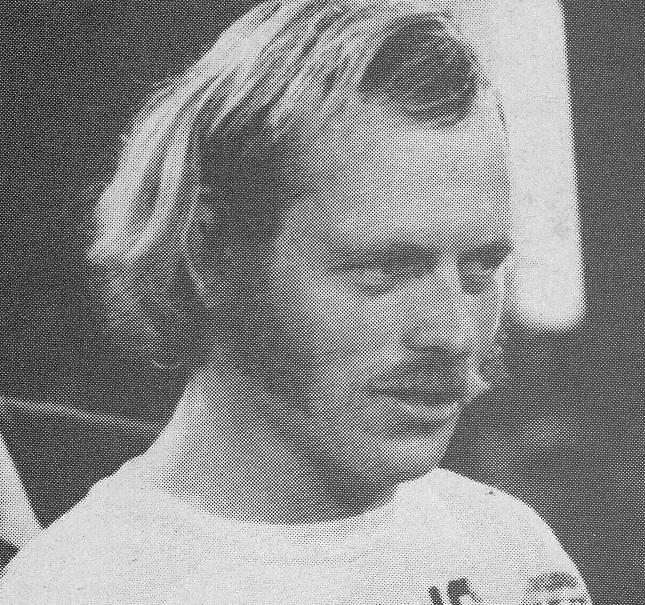 Georgia’s Cleve Dean ended the ‘70s at the top of the armwrestling world. He kept racking up wins in the ‘80s, and though he did not maintain a perfect record, he remained the man to beat wherever he went. Between 1980 and 1986, when he took a break from the sport due to failing health, he won at least 20 national or world titles, from all of the top organizations of the era (AAA, AWI, IWC, WPAA, WPWA, WWC). 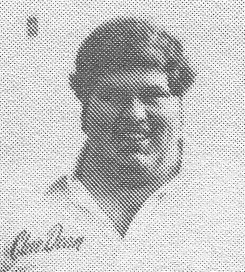 When Petaluma added a left-hand division in 1984, it simply meant Cleve could win two WWC world titles per year instead of one. He was even briefly considered for the role Bull Hurley in the movie Over the Top, but it was soon decided that the match-up would just be too unrealistic. No one would believe that Sylvester Stallone could beat Mr. Dean. At the end of the ‘70s, Georgia’s Johnny “Iceman” Walker was the dominant middleweight puller in the world. He continued to be the top middleweight right through to the mid-‘80s (when a young man by the name of Brzenk started reaching for the stratosphere). Johnny’s abilities were beyond impressive. He attended the 1981 AAA Stand-Up Nationals – the biggest event that year – and pulled and won not one, but two classes, each containing no less than 30 competitors! He kept his WPAA world title streak going (which began in 1977) until 1983, winning seven in a row! At the Over the Top World Championships in 1986, he had to be woken up for his final match in the 195-lb pro class because the tournament had run right through the night. He dispatched his opponent in about a second! By the end of the decade, he had added at least 30 national or world titles to his résumé. The Lewco line of Over the Top toys even featured a Johnny Walker action figure! No puller won more national or world titles than Virginia’s Dave Patton in the ‘80s. It was hard for anyone who pulled in either the 150 or 165-lb class to avoid him, because he competed all the time, and went everywhere for tournaments. He virtually always performed at a top level and the list of titles he won during the decade is mind-boggling: 12 AAA national titles, at least six IWC international or world titles, and nine featherweight WWC world titles (he actually won 10 in a row from 1981 to 1990)! In total, he won no less than 40 national or world titles during the decade! A true legend of the sport! As a teenager in Illinois, John Brzenk began competing in local tournaments in the early ‘80s with his father. His daily table time from the age of 13 proved worthwhile, and he experienced tournament success right away. By 1982, he was winning major titles. He won two classes at the IWC North American Championships in September and won his first world title a month later in Kitchener, Ontario, defeating top puller Harley Maynard in the process. But he really turned heads when he beat Johnny Walker in a Reno tournament in early 1984. At just 19 years of age, he had defeated the top middleweight puller in the world. Two years later, John won the open weight Truckers division of the Over the Top World Championship, which earned him a Volvo White semi truck. In the late ‘80s, working as a mechanic for Delta Airlines, he could fly for free to most tournaments. This made it financially worthwhile to attend as many pro tournaments as he could. From around 1986 through to the end of the decade (and for many years beyond) there was no one near his weight who could put up much of a fight. He therefore almost always pulled multiple weight classes – usually his class as well as all others above it – and routinely won them all. Fans loved it!